Jewelry • Ceramics • Scarves • Sculpture • Paintings • Photography • Cards . . . & more! 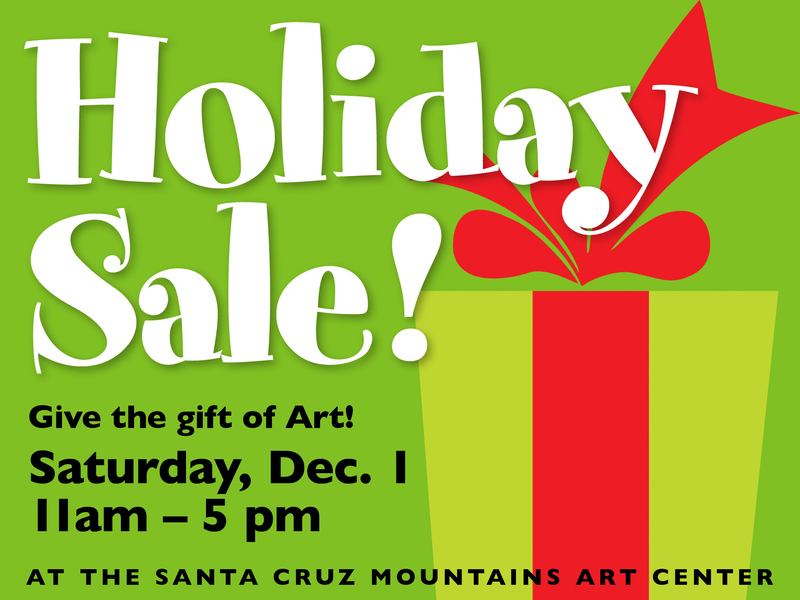 If you can’t make our annual sale, check out our current exhibit “Little Treasures” during gallery hours through December 22. We are open Wednesday – Sunday from 11:00 am – 5:00 pm. Our annual holiday show’s theme “Little Treasures” is focused on smaller affordable pieces of artwork, and has already been quite the hit. Sales got off to a good start even before the opening reception, and during the reception, sales kept our staff busy throughout the evening. Artists in this show are regularly restocking items as they sell, so new items are in the gallery weekly. 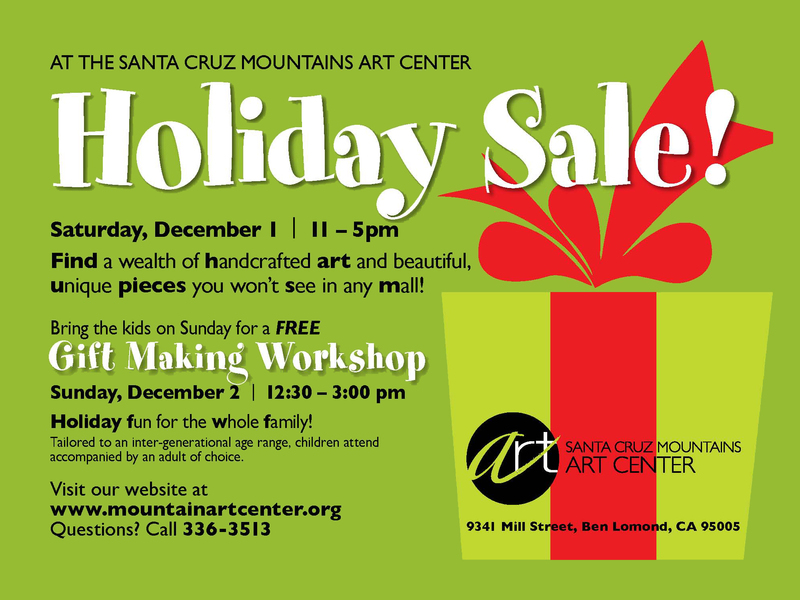 And if you are looking for something to do with the kids we have our FREE Gift Making Workshop the day after our holiday sale, Sunday December 2, 12:30 – 3:00 pm.